The Powercab 112 and Powercab 112 Plus are 1x12 active speaker systems that deliver an authentic “amp-in-the-room” playing experience when paired with any modeler, profiler, or even an amp-simulation pedal. 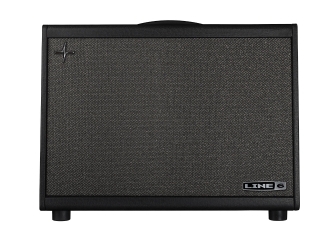 Select one of six classic Speaker Models as alternatives to your current cab models, or simply plug in your modeler and play using Flat Mode – the choice is yours. Powercabs are also loud enough to fill any small club or medium-sized venue, and performing guitarists will also appreciate their lightweight yet roadworthy construction, compact size, flip-out kickstands, and XLR direct outputs.